Accurate pronunciation is vital when speaking a foreign language. It creates the first impression of how you speak the language and has a profound effect on how easily people understand you when you speak. Yet, accurate pronunciation allows to make differences which native speakers do, so you will be able to make out foreign speech that usually seems to be so indecipherable. To acquire accurate Russian pronunciation is difficult. The following advice should give you an idea of how to achieve the task. Sounds play an important role in your ability to speak clearly. Pay special attention to the position of speech organs used to produce sounds. Look for diagrams of speech organs in the phonetic section of your text-book. 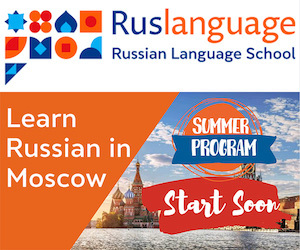 Train your pronunciation intensively for the first 3-4 months of studying a foreign language until you are able to produce foreign sounds automatically and easily. 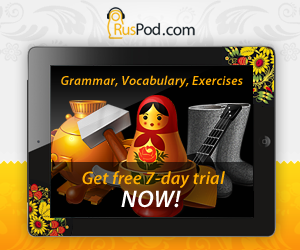 Compare Russian sounds with those of your native language and note the difference. Remember the position of speech organs that makes the sound different. Use a mirror to correct the position of your tongue and lips characteristic of the particular sound. Watch foreign films without translation paying attention to how sounds are pronounced. Pay attention to accurate word stress and intonation. Listen to foreign speakers as much as possible focusing on intonation rather than meaning. Listen to radio and TV broadcast and repeat phrases said by the announcer. This will develop your listening skills so you can identify foreign sounds, words and sentences. It is also important that you develop your speaking skills. Read out half-page excerpts repeatedly to practice intonation and rhythm, learn to accurately produce word stress and link words together consistently.